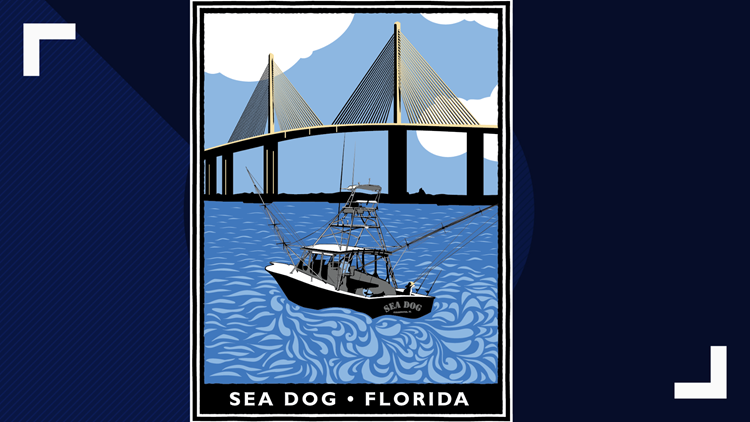 ST. PETERSBURG, Fla. — Sea Dog Brewing Company has 'crafted' a new way to celebrate the second annual Skyway 10K. The Clearwater brewery announced the release of a limited-edition Sunshine Skyway 10K Pilsner just in time for the second iteration of the race. Master brewer Bobby Baker created the "refreshing cirtrus-infused pilsner," which is available now at Sea Dog's Clearwater and Treasure Island locations. "The intense aromatics of Cascade hops are balanced by the richness of traditional two-row British malted barley, making the perfect crisp and refreshing beer for every runner," Sea Dog Brewing said in a statement. The beer will be available to buy at the Skyway 10K race expo on March 2 from 10 a.m. to 6 p.m. and on race day until noon. The brewery is also selling specialty "paws for a cause" race t-shirts throughout the weekend. It says a portion of the proceeds will benefit the Armed Forces Families Foundation, an organization that raises money to help military families. “The Sea Dog Crew is honored to participate for the second year," Fred Forsley, owner of Sea Dog Brewing Company said, "We support the men, women and families who sacrifice to protect our freedom and security. This is one small way that we can say ‘thank you.'" This year's Skyway 10K is expected to have around 8,000 runners on the course, which will start in Terra Ceia in Manatee County. Runners will then go over the Sunshine Skyway Bridge north to Pinellas County, finishing at Tropicana Field.